Alcohol and the athlete have been linked together since ancient times. It continues to be the most commonly consumed drug among the athletic population. Alcohol use carries significant potential adverse effects for both the health and welfare of the individual. It is suggested that alcohol related problems may be more prevalent in the athletic population due to their risk taking mentality and the age profile of athletes (18- to 24-year-old males). 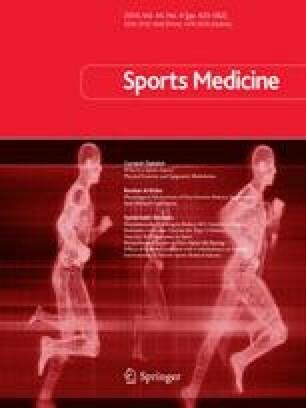 Alcohol consumption also appears to have a causative effect in sports related injury, with an injury incidence of 54.8% in drinkers compared with 23.5% in nondrinkers (p < 0.005). This may be due in part to the hangover effect of alcohol consumption, which has been shown to reduce athletic performance by 11.4%. Alcohol is a potentially lethal drug and is a banned substance for certain Olympic sports. Education is the cornerstone for appropriate social use of this drug. Athletes and coaches need to be aware of the sports related adverse effects of alcohol consumption and its role in sports injury and poor physiological performance. It is recommended that alcohol should be avoided by the serious athlete.